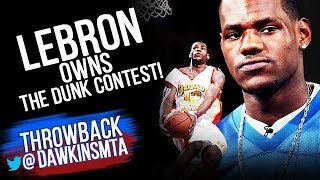 Watch FreeDawkins Updated NBA Videos! LeBron James vs Stephen Curry Christmas Battle 2015.12.25 - 44 Pts, 16 Rebs Combined, MVPs Duel! LeBron James UNREAL 41 Pts, 11 Ast, 4 Stls, 3 Blks in 2016 Finals Game 6 vs Warriors - MVP MODE! Kyrie Irving vs Stephen Curry Full Duel at 2014 All-Star Game - MVP Kyrie With 31 Pts, 14 Assists! Kevin Durant vs LeBron James NASTY Christmas Battle 2012.12.25 - 33 Pts For KD, 29, 9 Ast For LBJ! Tracy McGrady vs Kobe Bryant Full Highlights 2007.10.30 - 75 Pts Combined, Wild Finish! LeBron James vs Blake Griffin NASTY Duel 2014.02.05 - 74 Pts, 18 Dimes Combined! 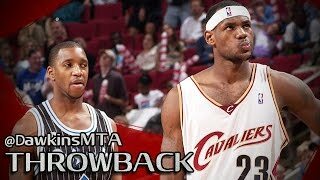 Tracy McGrady vs Kevin Durant Full Highlights 2008.01.23 - CLUTCH T-Mac vs Rookie KD! Steve Nash Full Highlights 2011.02.22 at Lakers - 19 Pts, 20 Assists, Point-GOD! Kobe Bryant vs Paul Pierce Full Highlights at 2008 Finals G2 - 58 Pts, 16 Dimes Combined! Giannis Antetokounmpo Full Highlights vs Pistons in 2018-19 RS - 20.8 PPG, 8.8 RPG, 7 APG!